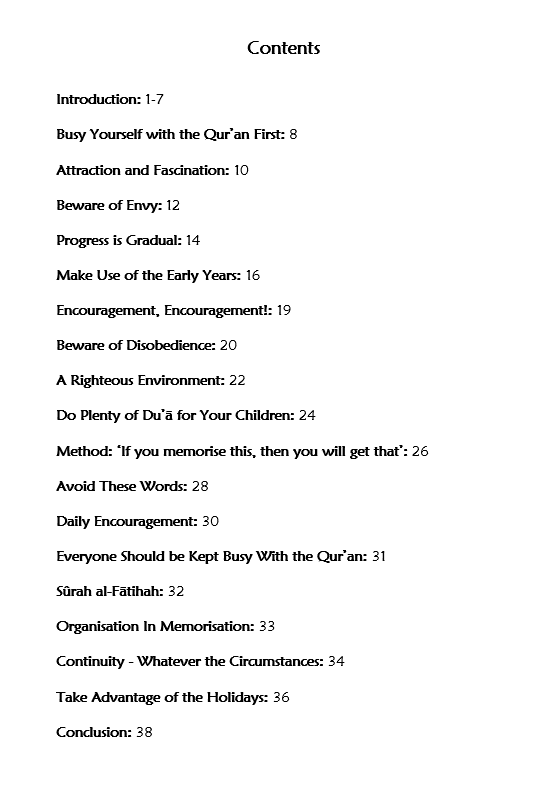 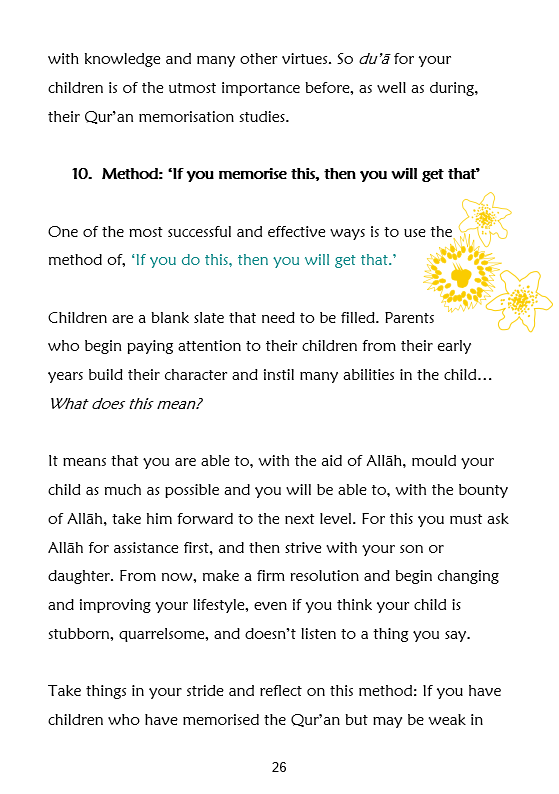 A simplistic brief guide about teaching your children the memorisation of the Qur’an. 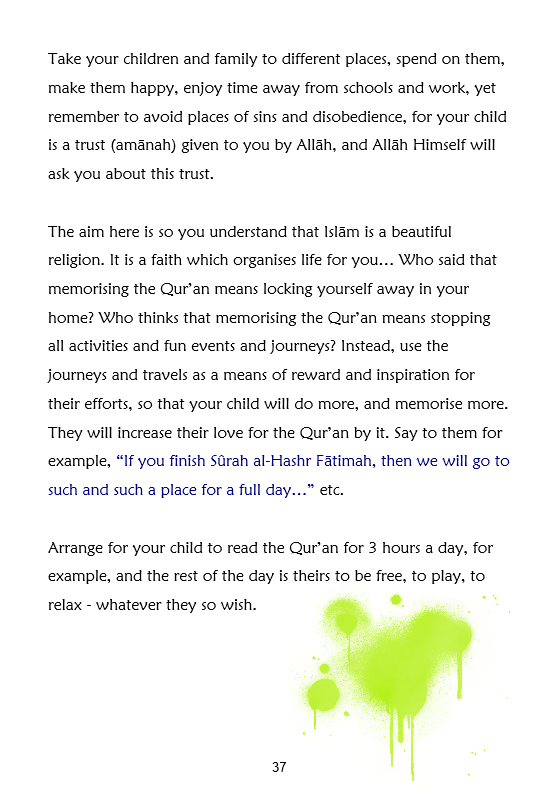 A must read for all parents and teachers. 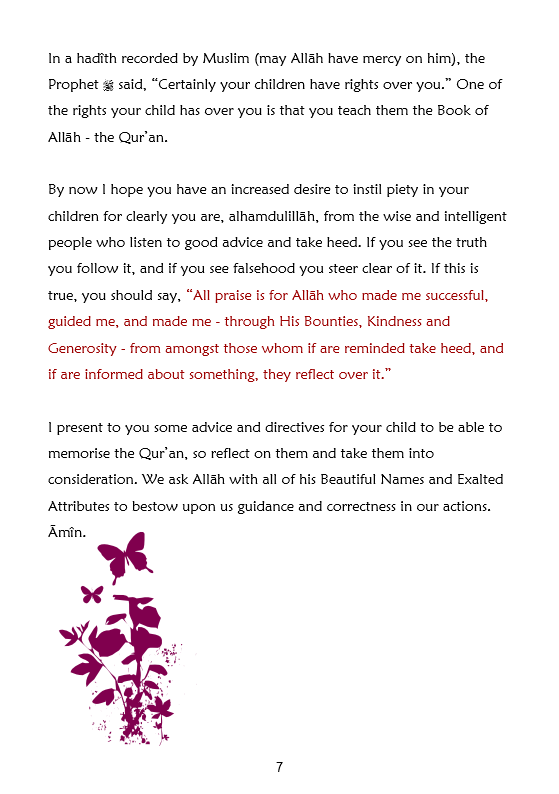 This book is for every parent who wants their child to love the Qur’an, wants to know how their child can memorise it most enjoyably, how to prevent distractions and disheartenment, how to keep on top of revision and recitation, and of course, what the fruits of your child memorising the Qur’an are – for you and them.